Webseology / Web Design / EEK! 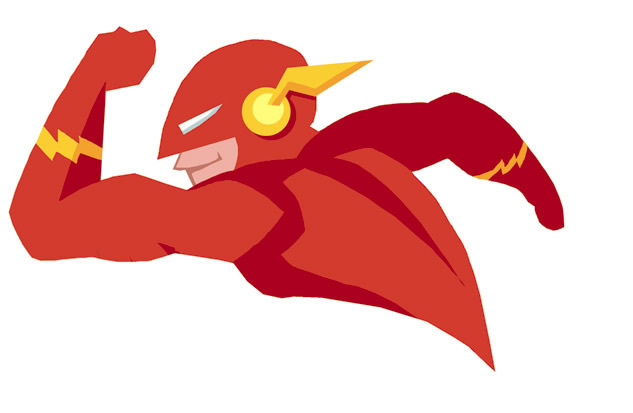 Is your site a FLASH Website? FLASH Website Design, you are free to go. Remember the days of FLASH Websites? Man, were they cool. In fact, so cool everyone wanted at least some FLASH somewhere on their site. Most chose the a nice, yet painfully slow loading Flash intro while others chose a Flash banner at the top of the home page. Fast forward 10 years to 2014, and nothing says dated like – FLASH. Having a creative web design for your website is so much more than a flashy web page for your customers to look at. In fact, the flashier, the higher the chances are your website will turn people away from your web page with just a click of the back button. This may not be because your website is unattractive, it may simply be because a lot of sites built in Flash were built many years ago when creative web design trends were different. Not only can a FLASH website turn your viewers off, but it can even turn the tiny, yet powerful little web crawlers that, we in the SEO biz, call spiders away from crawling your website. Although Flash is being seen a little more by search engines and their crawlers than in the past, it is still not the preferred method of design when building search engine optimized websites and FLASH has been pretty much phased out from an SEO standpoint. Web design is not just about the look and feel of your page. It is about building a site that the search engines love, as well as, a site that is easy to navigate and provides answers to what your customers and potential customers are looking for. It doesn’t matter how much great Search Engine Optimization (SEO) your website has; if neither humans nor web crawlers can navigate their way around your site, it won’t stay at the top of the search engines for very long – if at all. Now, with a beautifully blended mix of modern, creative web design along with highly relevant content and strategically placed keywords, combined with a proper link building strategy, we can have your site moving up in the search engines in no time. The moral of the story is this: If your website was designed using Flash, then chances are your SEO efforts and dollars are going to waste while some browsers and mobile devices are not even showing your FLASH content. If this sounds like your website, it’s safe to say it’s time for an upgrade; in the long run it will save you money. All of our creative web design services include SEO friendly URLs (webpage addresses) and responsive web design that automatically resizes for mobile, laptop, desktop and tablet screen sizes. Contact us today to learn more about our affordable and creative web design services.